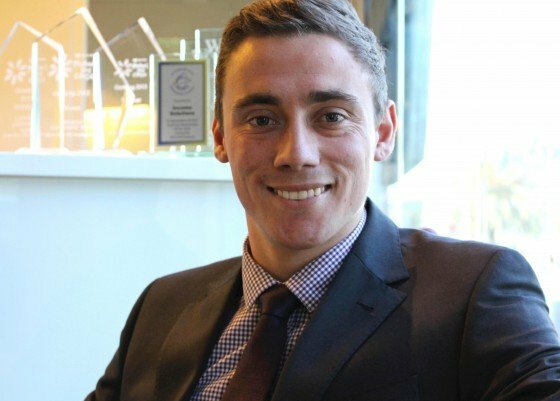 In July, we offered an internship opportunity to Deakin Commerce student Danny Archer. This week we’ve said goodbye to him after seven weeks with us. The Income Solutions team in Geelong enjoyed having a new face in the office, and we were very impressed by Danny’s enthusiasm and how quickly he learned the “ropes”. We took the opportunity to ask him a few questions about his experience as an intern with Income Solutions. (We’ll be advertising more internships soon, details at the end of this post!). How did you find out about internships at Income Solutions? I sent an expression of interest e-mail directly to Income Solutions explaining my situation at University, and my desire to obtain an internship with the purpose of gaining an advantage over my co-students by having real, professional experience in my penultimate year of studies. Take us through the process of applying and being accepted. Mason replied to my e-mail via a phone call advising me that Income Solutions were impressed with my informal application, and would like to organize a meeting to discuss the matter on a more formal basis. David (CEO) and Mason (Operations Manager) were present at my interview which I was made to feel very comfortable and welcomed in. We discussed my career-objectives, what I wanted out of an internship, what role they were prepared to offer as an internship and also my University layout moving forward. What was your first impression of the office itself? I particularly liked the open-plan design of the bottom level offices, giving the firm a tight-knit feel. The most impressive aspect of the Geelong office is the 75-seat Auditorium. A great initiative by David, I attended one of the Common Sense Investing Information Evenings which was held in the Auditorium, and it really reinforced how beneficial it is to the firm. What was your first impression of the staff? Meeting the staff was the part of the Internship I was initially most frightened about. I wasn’t sure how they would take to having an Intern in the office, as I am the first, or how they would react to my inevitably repetitious questions about how to complete certain tasks and duties. During my initial tour of the office, every staff member I met welcomed me with a great smile and warm personalities, instantly minimizing the nerves I was feeling and making me feel comfortable from the beginning. Having this support from the staff, particularly the Associates with whom I worked closest with, eradicated any nerves I had about making mistakes on work as I knew help was always there when needed. What kind of work have you been doing during the internship? I began completing documents for client review meetings, Unit Calculation spread sheets, Share Dividend spreadsheets, Fee Disclosure Statements (FDS) and preparing the client(s) Portfolio Review files. I found this task very enjoyable and informative as I was able to learn a lot about Superannuation and Pension funds, share dividends and their distribution methods and also different types of insurances available to individuals and families. I was also able to sit in on a client review meeting with Dan, one of the Advisors, and an individual client, which was an experience I had looked forward to throughout the Internship. I really enjoyed being exposed to how an advisor-client meeting is held, and was also able to write the File-Note at its conclusion. Have you been able to apply what you have learned from your Commerce degree during the internship? I have been able to apply a considerable amount of knowledge learned throughout my Commerce degree into my Internship. The classes undertaken as part of my Financial Planning major obviously helped having a fundamental understanding of shares, property, cash, insurances, assets, liabilities and estate planning, which I was able to build on significantly during my time at Income Solutions. My Accounting classes also helped, in particular with my understanding of taxation in Australia which is a core component of Financial Planning. The Advisers at Income Solutions are impeccably professional and have a very strong belief in the investment strategy used at the firm. My outlook on investing in either of the three asset classes has drastically changed due to constant teaching from the Advisers here. I tried to make use of their knowledge as much as possible and asked many different questions about what investment strategy would be best in many different scenarios..
Would you recommend us to other students who want to undertake an internship? I would definitely recommend Income Solutions as a firm for any student to complete an internship at. The professional development I have been lucky enough to achieve here has exceeded all expectations I had prior to commencing the Internship, and is an invaluable asset I now have as I endeavor to complete my degree and apply for full-time positions post-grad. Want to be the next intern at Income Solutions? Visit our Careers page and apply. Interview rounds begin in October.